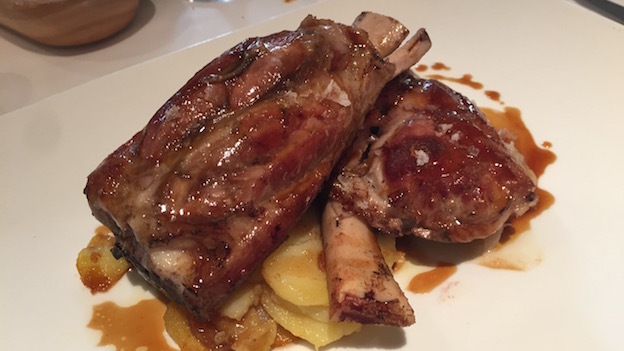 My first memory of La Terrazza was a fabulous lunch Marzia and I enjoyed a few years ago while we waited for our car to be ‘thawed’ at a local garage. (In extremely cold temperatures diesel can freeze. I don’t recommend trying it, better to go for mountain diesel.) Anyway, lunch was delicious, and we vowed we would return. La Terrazza is one of the six restaurants in the Hotel Ciasa Salares, which is located in Alto Adige’s Val Badia, a true paradise on earth where stunning landscapes, world-class skiing and fabulous cuisine go hand in hand. Proprietor Stefan Wieser is the third generation in a family of hoteliers and restaurateurs, but his mother still keeps a watchful eye, as was evident during our brief stay. Ciasa Salares is best known for La Siriola, its Michelin-starred restaurant, but the hotel offers guests a number of dining choices, from the super-elegant to the casual. Rooms dedicated to the art of cheese, salumi and chocolate round out what is a truly dizzying array of culinary temptations. All six restaurants share a single list that is rich in selections from the rest of Italy and abroad. Wieser has built a cellar designed to cater to his decidedly international clientele, so one thing the wine program does not do is showcase Alto Adige’s oenological riches. In my view, that is a bit of a shame. Every dish on our most recent visit is absolutely delicious. 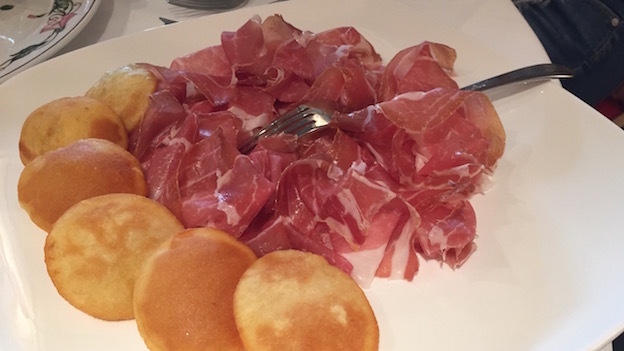 We devour the Montali Prosciutto and gnocco fritto, the fried potato dumplings that are typical of Modena, with a couple of glasses of Billecart-Salmon’s Brut Rosé as we settle in and peruse the menu. 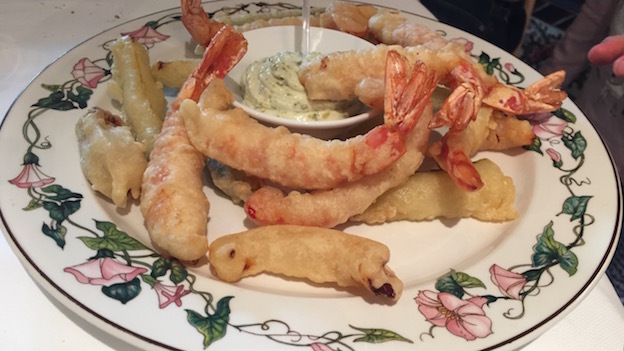 A plate of prawn and vegetable tempura follows, but it doesn’t last too long. Both pastas are bold, lusty and delicious. Lobster is not something I associate with or would typically eat in Alto Adige, but I simply cannot resist. I am not disappointed, as the tagliolini are superb. The braised pork shank – hearty mountain food at its best – is delicious. It can also feed a family of four. Readers who order it might want to fast for a day before, or be prepared to spend some serious time on the slopes after. A selection of cheeses from Ciasa Salares’s vast selection is an appropriate conclusion to this fabulous meal. There are few things I enjoy more than aged Chablis, so I jump at the chance to indulge in Raveneau’s 2001 Chablis Montée de Tonnerre. The wine is intensely mineral and layered, with the extra kick of textural richness that has developed over the years. Wonderfully aromatic and savory, the 2001 is in a spot to deliver maximum pleasure. What a beautifully vivid and utterly delicious wine it is. 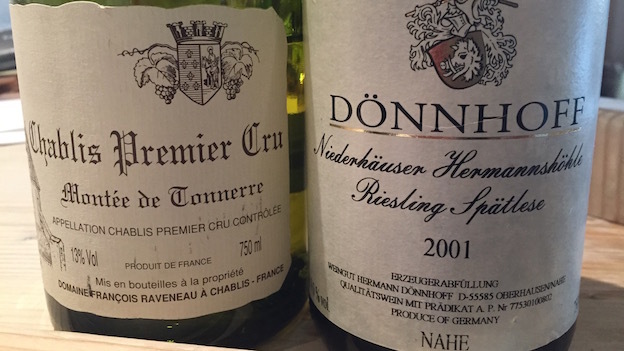 Dönnhoff’s 2001 Niederhäuser Hermannshöhle Riesling Spätlese is also striking. 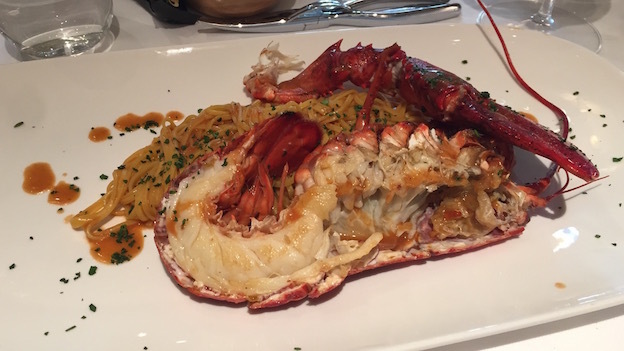 The slight sweetness works well with the spiciness of the lobster in the tagliolini dish and also with the cheeses. Varietal mineral/petrol and orchard notes abound in this very pretty, delicate Riesling. Both white wines are sublime reminders of just how rewarding aged whites can be. I have said it before, but I will say it again. 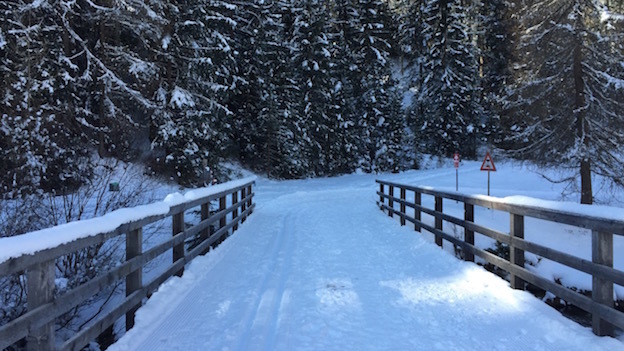 Readers who have not visited Alto Adige are missing out on one of the world’s preeminent food and wine destinations. La Terrazza is a great place to enjoy informal cuisine that melds local and international influences with a focus on pure, clean flavors that come through loud and clear.